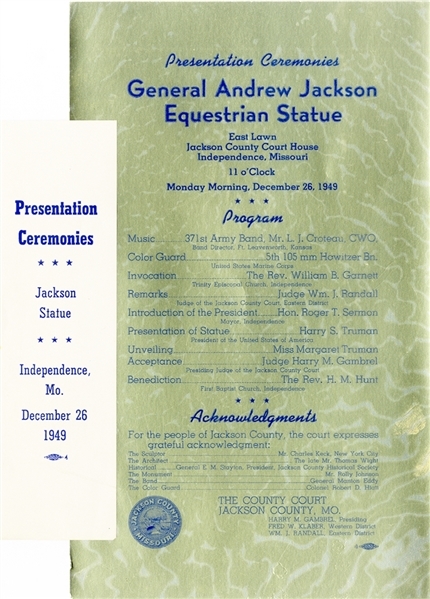 Unusual program for the “Presentation Ceremonies General Andrew Jackson Equestrian Statue” December 26, 1949, 1pp. quarto, on gold stock, with “Presentation Ceremonies” bookmark. Fine condition.